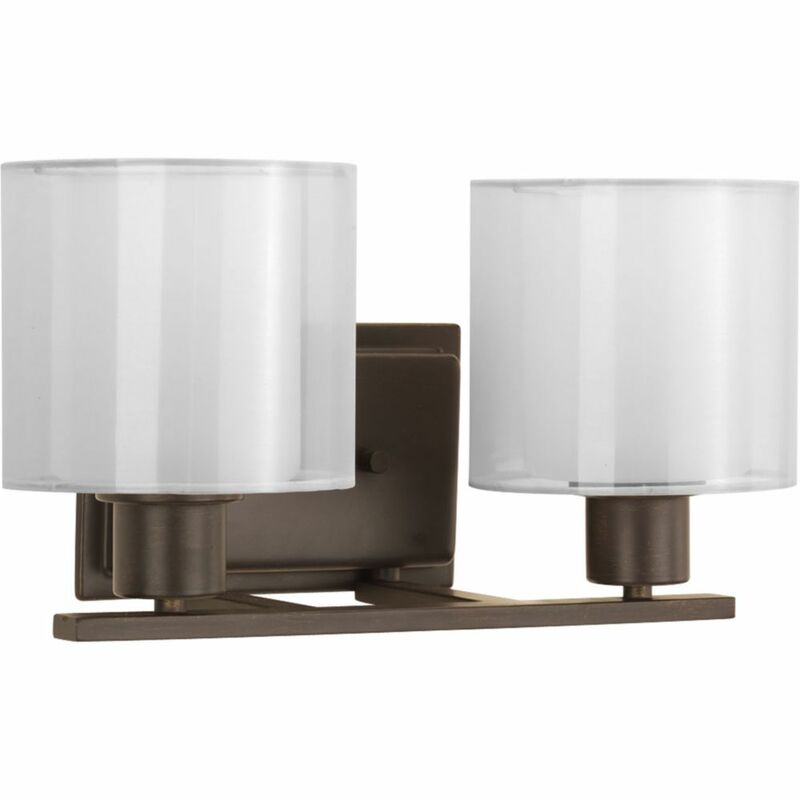 The Academy vanity lights have a nostalgic, yet decidedly modern, flair. Translucent outer globes mimic the silhouette of a traditional light bulb but contain a halogen source for bright illumination. Versatile design can be installed facing upwards or downwards. Invite Collection 2-Light Antique Bronze Bath Light Invite provides a welcoming silhouette with a unique shade comprised of an inner glass globe encircled by a translucent sheer Mylar shade. The rich, layering effect creates a dreamy look that is both elegant and modern. Offered as a complete collection, the Invite styling can be carried throughout your home or as a focal style in a special room. Invite Collection 2-Light Antique Bronze Bath Light is rated 5.0 out of 5 by 1. Rated 5 out of 5 by Addie726 from Bathroom light Absolutely love it! It looks perfect, just the right amount of lighting.